The stars were shining brightly on the night of August 7th, 2003 and I'm not just talking about the stars in the sky! It was the Hong Kong premiere of Jackie's newest movie, The Medallion, and his fans were invited to rub elbows with some of the brightest stars in Hong Kong! Those of us who don't speak Chinese didn't understand much that was being said, but it was great fun to watch anyway. When the ceremony was over, everyone was invited into the theater to see the movie. 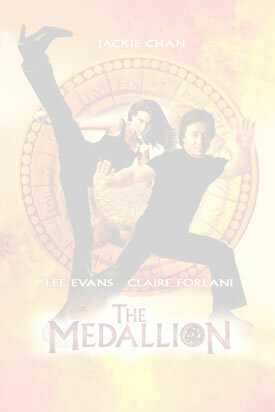 The Medallion was terrific! For a review of the movie, you can click here. After the movie we were shown back to our bus and taken to our hotels. It was a wonderful, exciting night of glamour, stars, and of course Jackie! Click here to read another account of the Medallion premiere!